Designed with flexibility in mind the Z312 module can be integrated into any new or existing Torus gauge, or alternatively supplied as a standalone system. The flexible module boasts multi size capability with no change parts allowing the system to be located anywhere on the shop floor. Reducing HFI (Hold for inspection) customer complaints. Cost effective upgrade path for existing Torus gauges via the Torus modular philosophy. The new Z312 Vision Module, tests for all industry standard UV / Visible Ink Dot or Character recognition and Base Rim Coat presence in one system. The module helps assist can manufacturers further to reduce their HFI (Hold for Inspection) times, labour and scrappage. 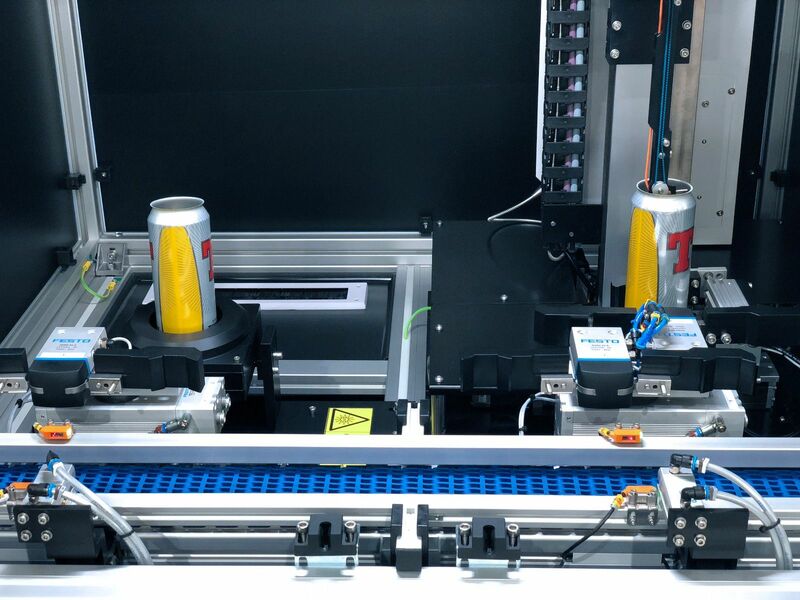 Having worked closely with can manufacturers over the last 30 years, Torus understand the growing requirement for product traceability through the manufacturing process. Utilising a 5MP camera with a resolution of 0.200microns, the module quickly identifies base rim coat presence for mobility and shelf life, and UV / visible ink dot & character recognition for traceability. Torus’ new module quickly identifies the application of base rim coat presence, indicating in split seconds a percentage coverage based on parameters set within Torus’ GaugeXplorer software. The live report instantly denotes if the rim coat has either been under applied or damaged. 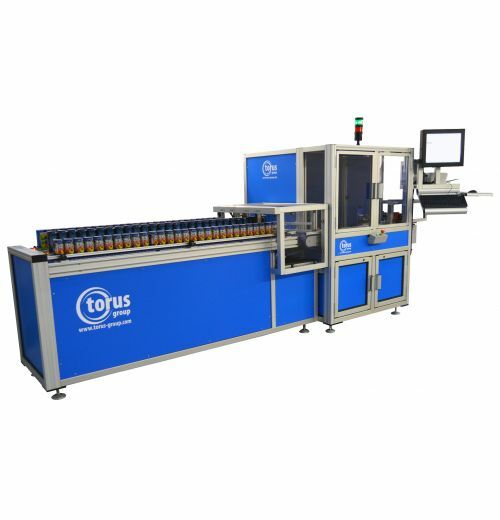 This enables maximum process stability, and reliability, by reducing lines/batches of defective cans supplied with insufficient levels of coating. Both individual and batch reports show image captures of base rim coating enabling detailed visual inspection for defective cans. The module offers traceability across the full range of industry standard UV / visible ink dot colours ensuring ISG (Internal Spray Gun) traceability in the production process. Using spot size control, a pass or fail for the UV ink dot size can be set, which will indicate quickly whether the UV / visible ink is over or under applied from the in-line ink jets, bringing a greater level of control to ink volume usage. 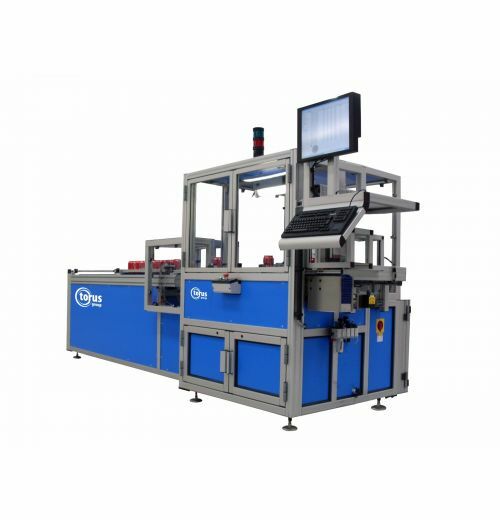 Integrates into the modular format for Z313 Automatic Enamel Raters & Z340 Automatic Coating Analysers. 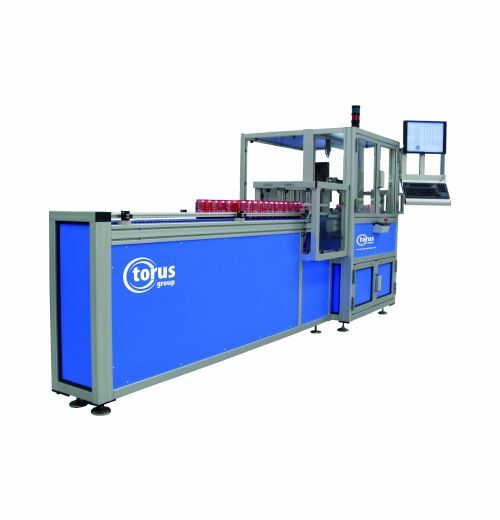 Available for integration into all other Torus Automatic Gauging. To view the video and downloads for this product, please enter your details below. Use the form on the right to get in touch with us about this product and one of the team will respond to you as soon as possible.